This incredible project was designed by Sean Dowling, the creative director at Bayon Gardens. 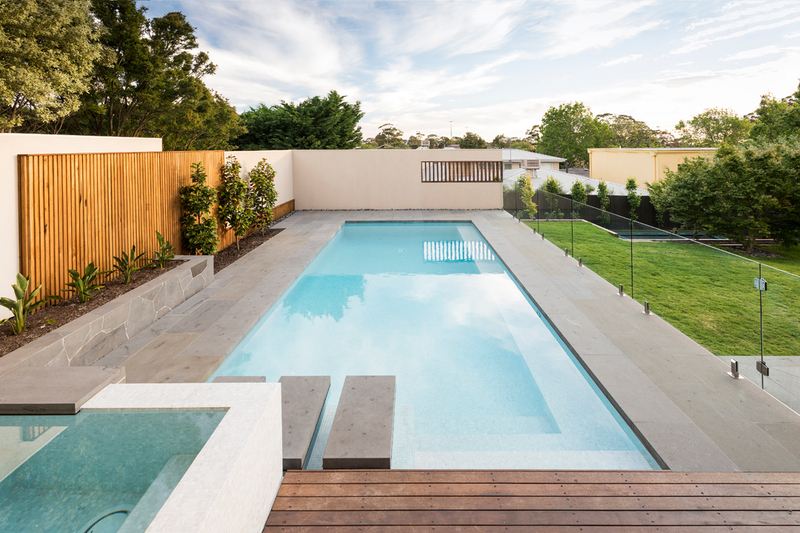 The client’s brief was to create a modern pool area with clean lines that maximised usable space. 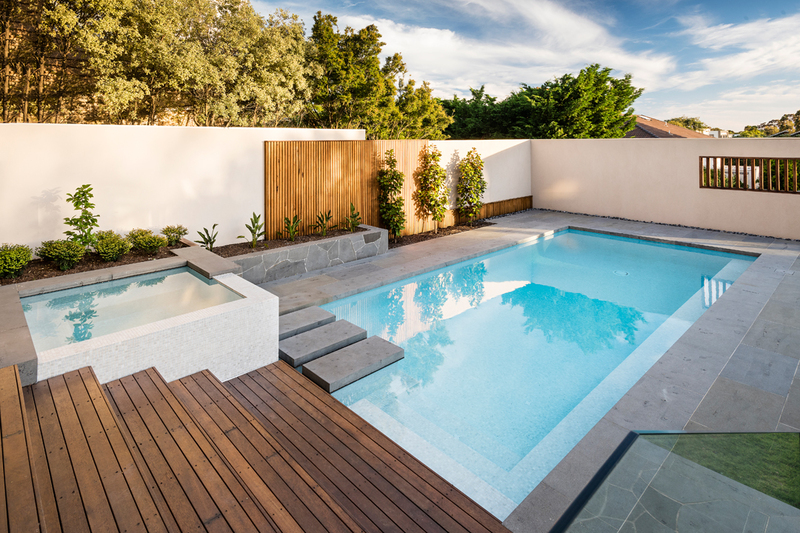 To achieve this, the team incorporated a raised spa with negative-edge walls, which allow the water to spill onto the deck and into the pool. The company also added a beach entry with three steppers that connect to the other side of the pool. 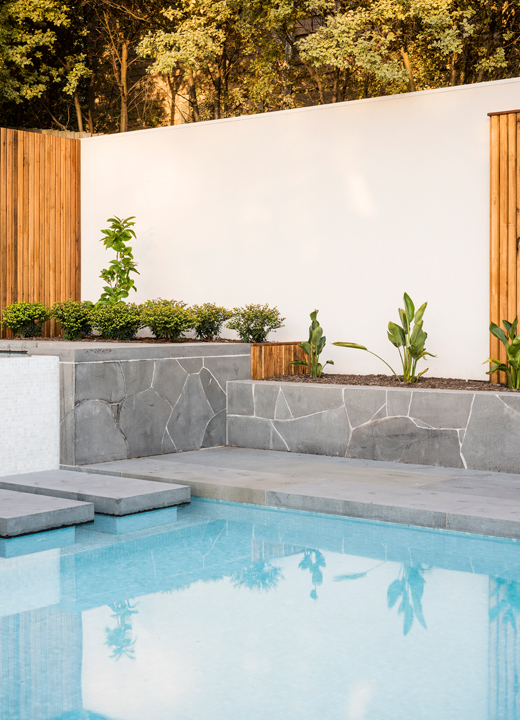 White and grey glass mosaic pool tiles give the water a stunning aqua colour, while the raised garden beds double as seating areas and create visual cohesion between the levels. The main function behind the design was to create two main levels that cater for several activities. The spa sits on the top section of paving, while the pool was set 700mm lower. The 4.5m natural slope of the boundary presented a unique design and construction challenge, which the team expertly overcame with finesse. 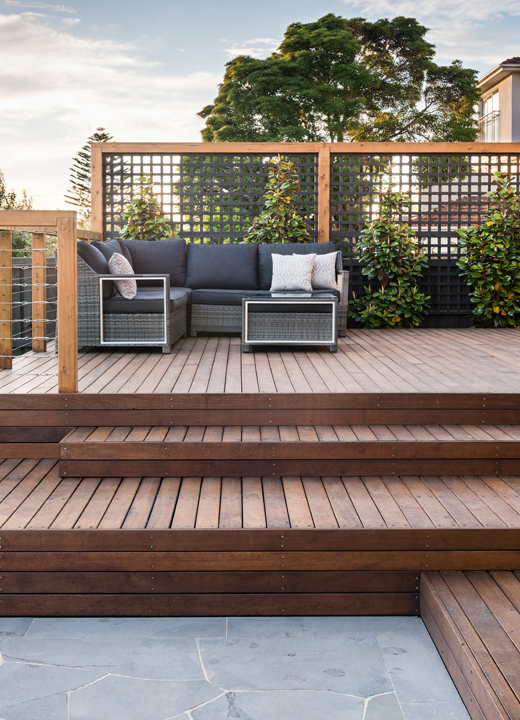 Bayon Gardens is a boutique landscape design and construction company based in Melbourne and the Mornington Peninsula. The company was established in 2011 by Dowling, who has worked for many years with some of the best local landscape design and construction teams. Since its establishment, Bayon Gardens has grown exponentially and also specialises in pool design, as well as other custom-made outdoor features, such as fire pits, artwork and arbours. The company has received a number of awards, including the Best of Houzz Customer Service award for 2015, 2016 and 2017, and the Houzz Design award in 2016 and 2017. The highly experienced team at Bayon Gardens are passionate about working together and striving for growth and development. The company works closely with clients throughout the entire landscape design and construction process, to deliver exceptional and unique gardens, and the highest standard of customer service.